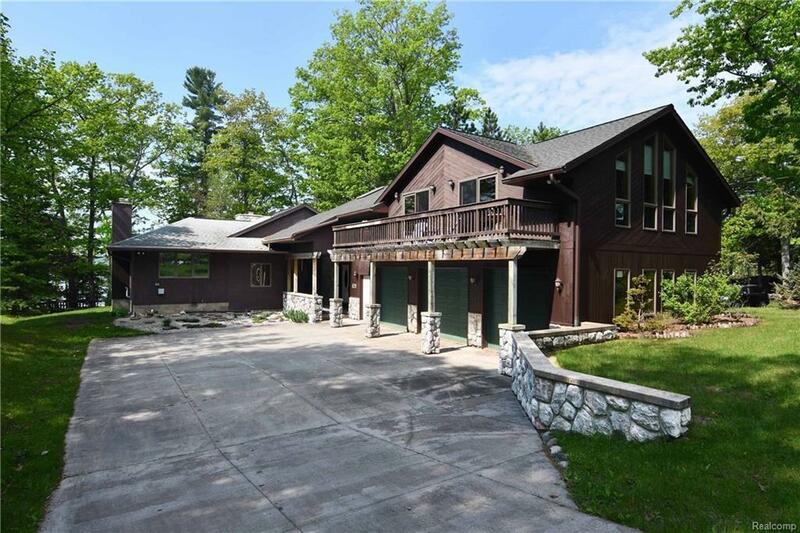 LUXURY LAKEFRONT LIVING AT ITS FINEST! Quality throughout featuring: premier lighting and tongue & groove cedar ceilings; large "Chef's Kitchen" with cherry cabinets, granite counters, stainless steel appliances, double ovens, (2) gas cooktop, (2) sinks and wine cooler. 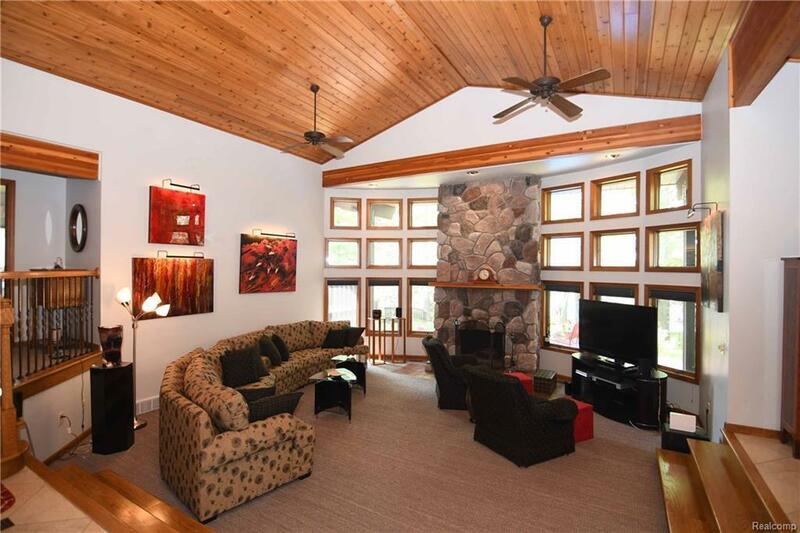 Great Room has spectacular views, stone fireplace and vaulted ceiling. 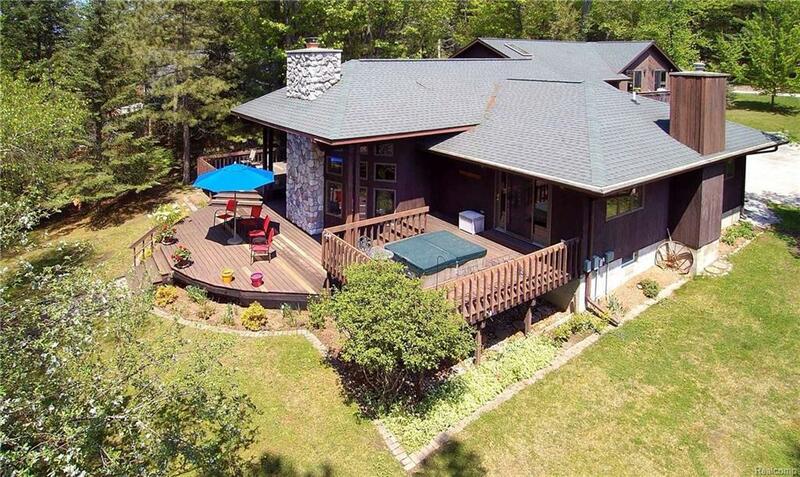 Enjoy a main level Master Bedroom Suite that opens to deck and hot tub. Upper suite used as extra guest quarters with a full bath with multi-head shower, fireplace, bar and balcony. 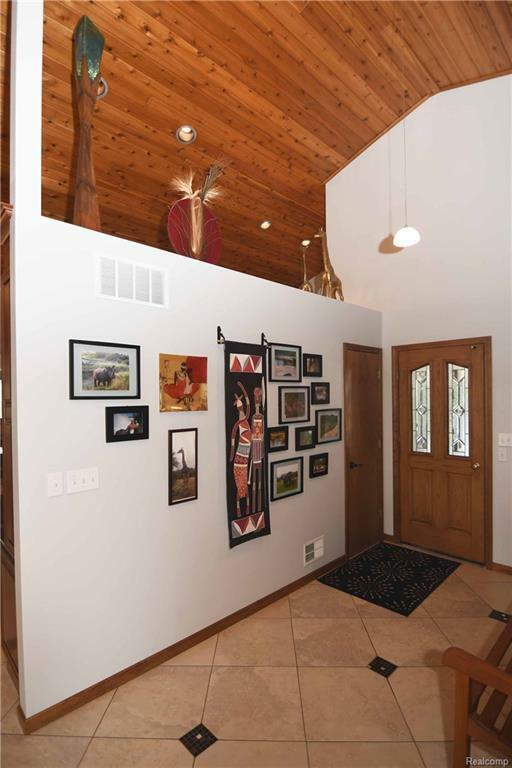 Beautiful treed lot with lighted paver walkways, creek, bridge and multiple decks. Oversize 3-car garage with large utility tub and closets. Property includes: basement and large cemented crawl space, generator, sprinkling system, sauna, newer mechanics, first floor Laundry and so much more.